It is ultra-thin absolute type angle detector with a strong high reliability in high temperature , vibration and shock . The Singlsyn has higher reliability and can be produced at lower cost as it does not have a coil on its rotor. Forming the rotor core into a special shape and changing the width of the gap between the rotor core and the stator core generates changes in the amplitude of the output voltage. Singlsyn has achieved smallest mounting space because of its extremely thin thickness as a built-in structure. 30,000 min-1 (rpm) (Large diameter type : 12,000min-1) Min. 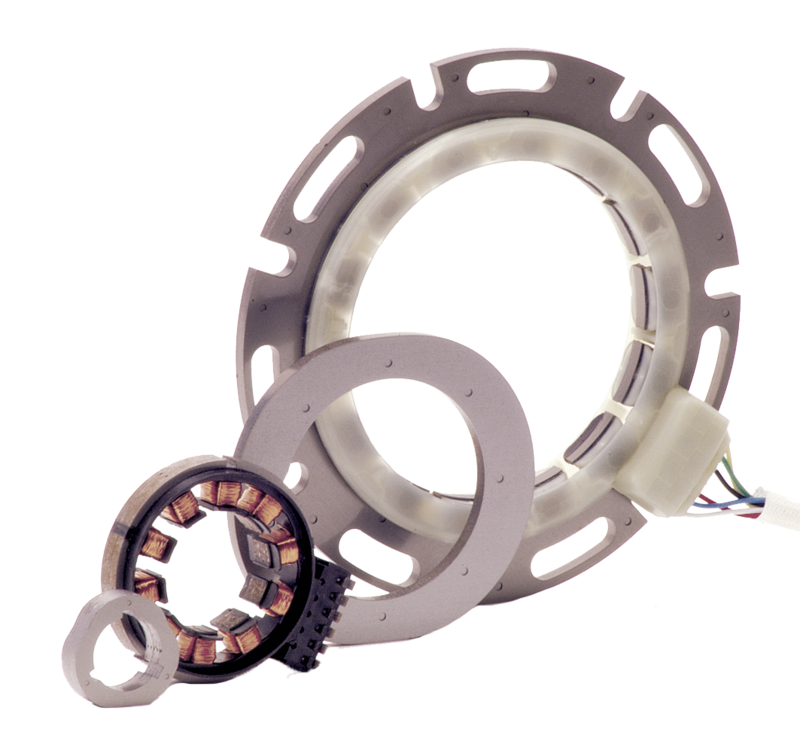 Singlsyn has the similar structure to electric motors but has high reliability because of no winding coil on its rotor. According to connection to a R/D converter or Smartcoder,it is capable of converting analog output signals of Singlsyn to digital position (angle) signals. The position signals are transmitted as the absolute position within a range of electrical one cycle. Especially low cost is realized by reducing the number of parts to 1/10 compared with conventional resolvers.